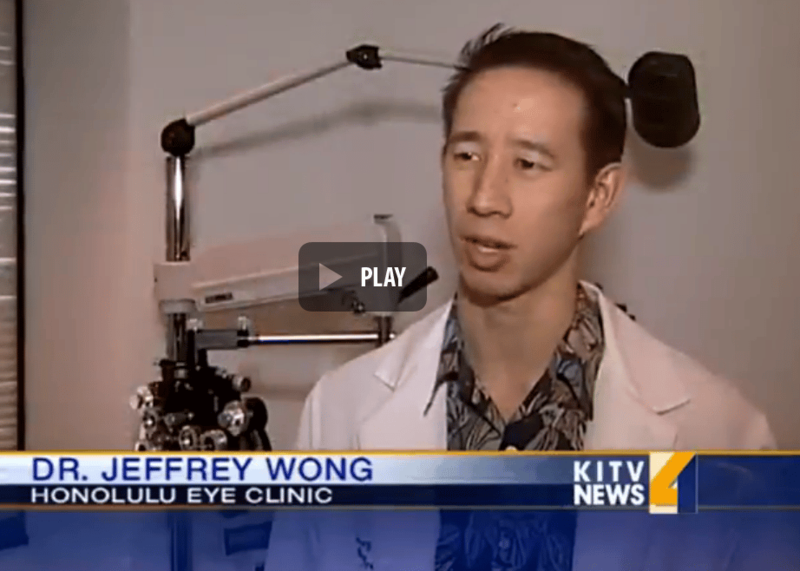 Some of you may have seen Dr. Jeff Wong on KITV news a couple weeks back. 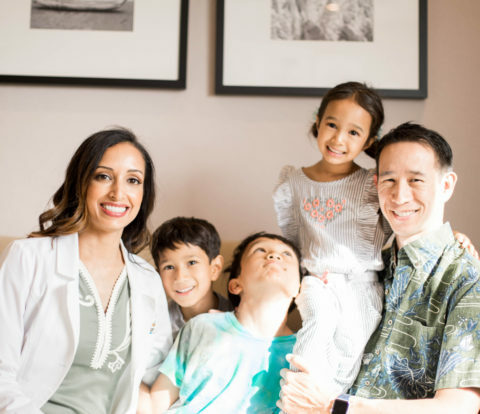 A study had come out which ranked Hawaii in the top 5 places in the US with the most UV radiation, so KITV wanted to interview an ophthalmologist about the dangers of UV radiation on the eyes. 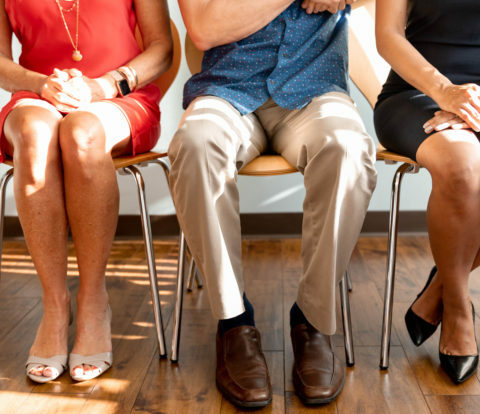 Apparently, the news crew had called our office, but due to miscommunication, our receptionist told them to call back at lunch and they thought she meant to come at lunchtime. (Of course, she did forget to tell anyone in the office that they called!). So, I get back from my rounds at Kapiolani Hospital to see Brenton Awa (who had our staff swooning) and his camera man hanging out in our waiting room. I introduced myself and was quickly filled in on the details. Now I really enjoy doing news segments. For me, it’s fun educating the public about ocular health and safety. 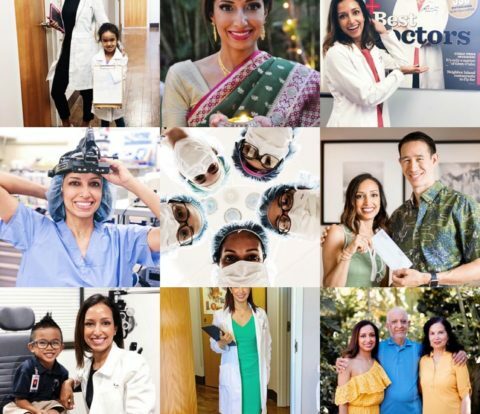 But, this particular area is my husband’s field of expertise – he is a Cornea and Anterior segment surgeon (I know, i know, how specialized can ophthalmology get, soon there will be a left eye and right eye specialist!) and he diagnoses a lot of different types of ocular problems caused by UV light. 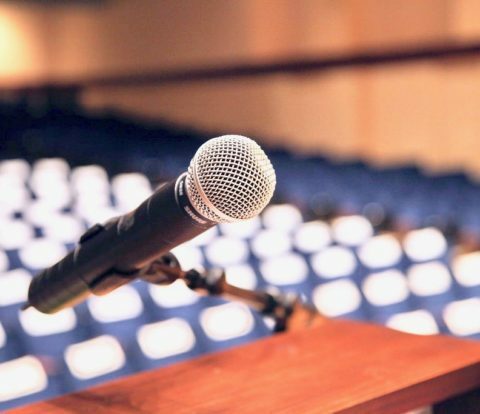 The only problem is that he really does not enjoy public speaking, even though he is very good at it. When I told him I thought he should do the news segment, he was less than thrilled to say the least, but once he found it was going to be taped and edited, as opposed to the KHON segments which are live, he agreed. Here’s a little screenshot of his video. Sorry, you can’t click on it to play, click here instead to view the vide. So, just as you use sunscreen to protect your skin this summer, don’t forget sunglasses to protect your eyes. 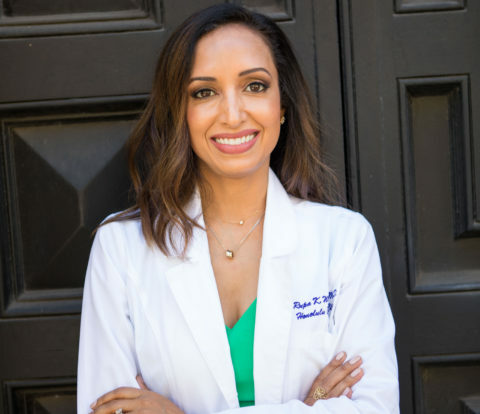 The same harmful rays that can damage the skin can also increase your risk of developing eye problems such as cataracts, pterygia, and even cancers of the eyelids or the conjunctiva (the white membrane covering the eye). 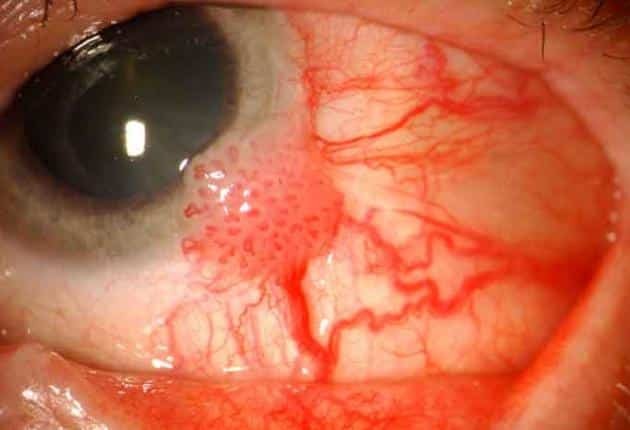 A pterygium (pictured below) is a growth of fleshy tissue on the conjunctiva that extends over the cornea (the clear front window of the eye). This growth is caused by ultraviolet (UV) light from the sun. Because we are so close to the equator, pterygia are very common in Hawaii, especially amongst surfers who often times do not wear sunglasses when out on the water. 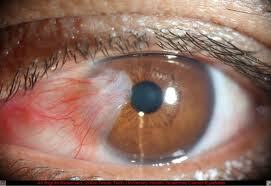 Symptoms include blurry vision, irritation, dryness, itching, burning, and foreign body sensation. In many cases, no treatment is needed. Sometimes artificial tears or steroid eyedrops are used to help calm inflammation. 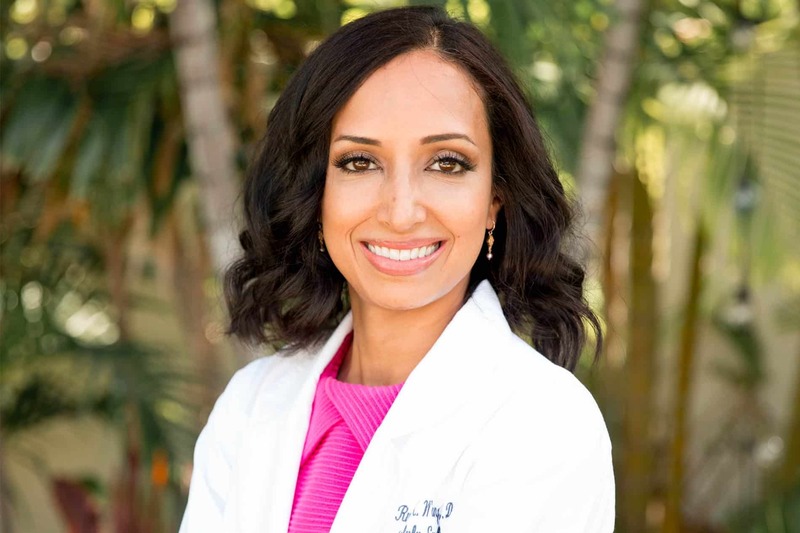 If the growths become large enough to threaten sight or cause persistent discomfort, they can be removed surgically, often with an excellent cosmetic result. My husband, Dr. Jeff Wong, performs this type of surgery. However, even though most patients know about pterygium and cataracts, the vast majority are unaware that cancer can also develop on the eyes, the most common type being basal cell carcinoma of the eyelids. 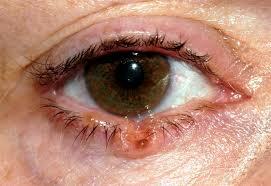 Rarely, cancer can affect the conjunctiva and cornea. Dr. Jeff Wong is skilled in diagnosing and treating these lesions. If you see an unusual growth on your eyelid or the conjunctiva (the white of the eye) that seems to be increasing in size, it is best to get it checked by an ophthalmologist. Though rare, basal cell, squamos cell carcinoma and melanoma, the types of cancers which affect your skin, can involve your eyes. Jeff has surgically removed a handful of these lesions and caught them early to avoid vision and life threatening complications. 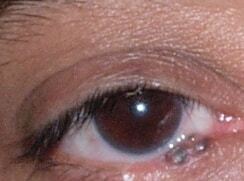 When I tell patients that melanoma can also affect their eyelids, they are always surprised. But, here’s a picture of how innocent a melanoma can look. Just that small brown spot on the lower lid. Some people may think it’s just a mole. 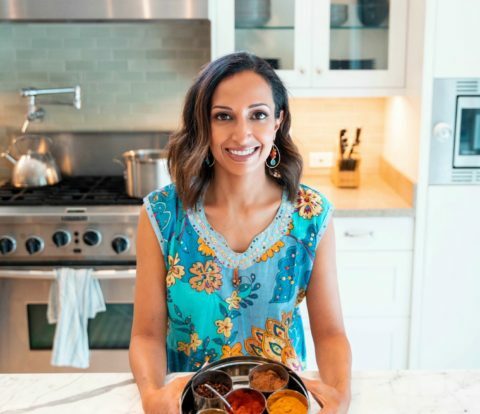 However, similar to any nevus, or mole, on the rest of your body, if the lesion has irregular borders, appears to be darkening or changing in appearance, please bring it to the attention of your doctor. So make sure to wear sunglasses that block 99-100 percent of both UV-A and UV-B radiation. Even your contact lenses should have UV protection. Wrap-around sunglasses and wide-brimmed hats add extra protection. This is how I look when I go to the beach. Not exactly fashion forward, but I never leave the house without my wide brimmed hat, large sunglasses, rash guard and Skinceutical/Elta MD sunscreen with titanium dioxide and Zinc (the best at combatting both UVA and UVB rays). I know, it looks like I’m a celebrity avoiding paparazzi or something, but the price of your health is worth it! 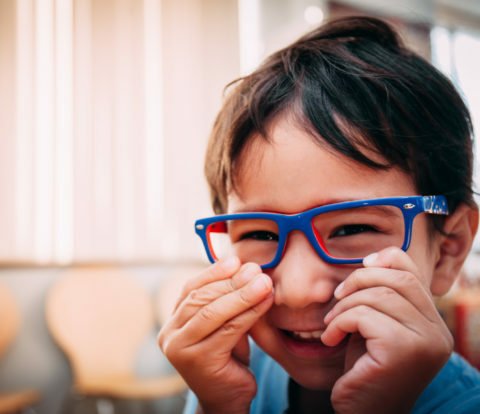 Lastly, make sure to see us regularly to monitor the health of your eyes!